Design and build OSHA compliant safety guards and handrail systems for numerous safety concerns throughout the manufacturing process. Over the course of a two-year period, our design team worked extensively with engineering and safety personnel of Wise Alloys to design and build solutions to over forty different safety concerns identified in the rolling mill, coating line, and reclamation process. 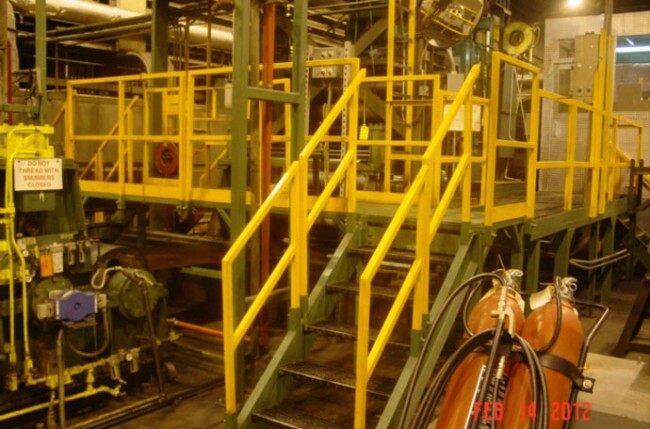 Specific issues addressed included custom designed machine guards for operator protection, handrails, operator platforms, and tie-off fall protection systems for safety during routine maintenance functions.